If you’re a homeowner, you’re probably well aware of the high costs associated with running and maintaining the HVAC system in your home. Although there are certainly other things that can contribute to high energy bills, your heating and cooling system is by far the biggest culprit. But it doesn’t have to be that way. You can live in comfort without having to worry about getting hit with a huge bill at the end of the month. In this blog series, we’re going to be talking about several ways that you can make the most out of your air conditioner. 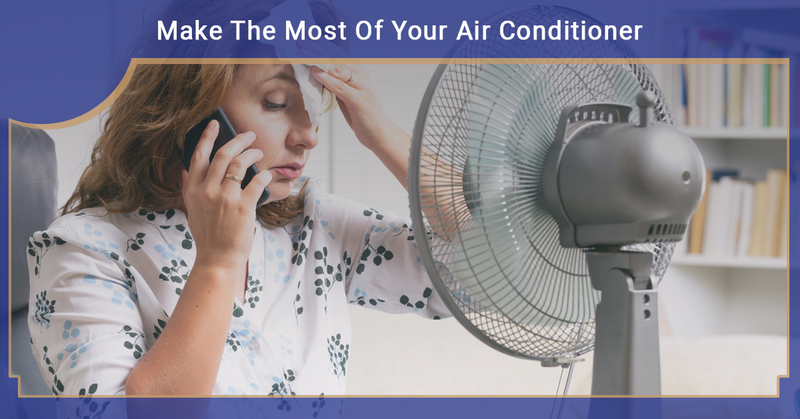 If you’ve decided it’s time to speak with an expert about repairing, replacing, or installing a new air conditioner unit in Essex, don’t hesitate to call the experts at Jay Mechanical. All of our employees are certified HVAC specialists, not subcontractors. Every employee we hire must meet our heating and air conditioning service quality standards and our lead technicians have 15 years of experience working on HVAC systems. Believe it or not, the problem you’re having with your air conditioner may not even be caused by the air conditioner itself. The thermostat also plays a big role in both saving money and keeping your HVAC system around as long as possible. If you’ve never learned about your thermostat before it may be worth it to break out the instruction manual or contact an HVAC specialist to show you how yours works. There may be settings on the device that you aren’t aware of or it could be on a setting that is draining energy in your home, overheating or overcooling. It also may be worth it upgrading your thermostat. There is a newer type of thermostat called a programmable thermostat that will allow you to set your air conditioner to automatically come on when you enter the home or turn off when you leave the home. There are several different formats for these devices so be sure to get one that matches your lifestyle. One of the best things you can do for your air conditioner without the help of a professional air conditioner specialist is to change your air filters. The air filter not only protects the system itself, but the air within your home. Since your AC is already circulating air throughout your home, you’ll be benefiting most from it if it’s also filtering the air within your home. Air contaminants usually take the form of harmful allergens like dust mites, pollen, and mold spores that can all lead to sneezing, coughing, and itchy eyes of they come into contact with people. To change the air filter in your home, remove your current filter and check on the side of the unit for the correct filter size. You can purchase a new filter online for an affordable price but it’s important to know what Minimum Efficiency Reporting Value (MERV) rating is best for your home. Be sure to speak with your HVAC specialist about this.